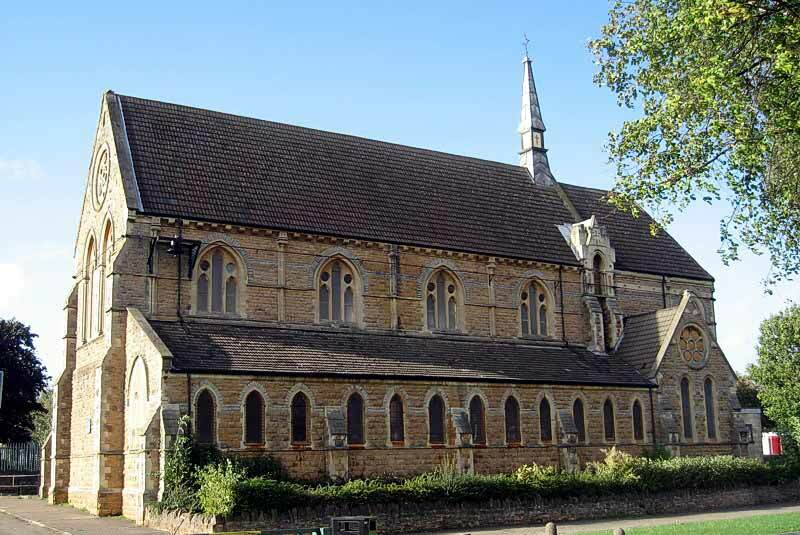 The foundation stone of this high Victorian church was laid in October 1882 and it was consecrated on 9th April 1885, although not completed until 1890. 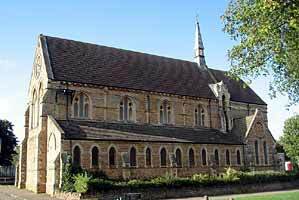 It was designed by William Knight, the architect of St Andrew’s Church, Mansfield Road, Nottingham. It was built in the area of Bulwell known as the Kiln Yards, of locally quarried stone, in the Early English style. The building consists of a large high nave, chancel, apse, north and south aisles, large porch at the north west corner and a vestry. The spired turret on the roof was removed c.2016. There is a single bell hung on a bracket on the wall outside at the south east corner. All the glass is plain except for the five stained glass east windows donated by Mrs Cantrell in memory of her husband, the Rev W. H. Cantrell, rector of Bulwell St Mary; she also donated the alabaster tablet in the chancel. Sir Charles Seely donated the first organ. Choir stalls were installed in 1902 but removed a few years ago. The carved wooden eagle lectern dates from 1935. The stone font stands on five columns and parts of it have been painted pink. Up to 6th May 1928 the church was a Chapel of Ease to St Mary’s, Bulwell, but on that date a new parish was formed round St John the Divine. and to Geoff Buxton for the photographs.